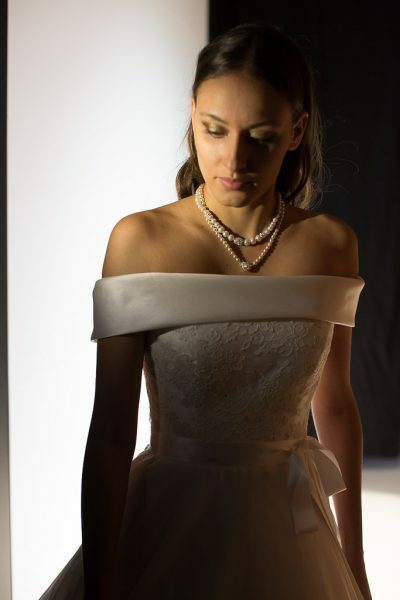 Well, now that we have managed to pause for breath after our Veritas 2018 launch we would love to share some of the drama of our catwalk show and also the hectic behind the scenes activity. 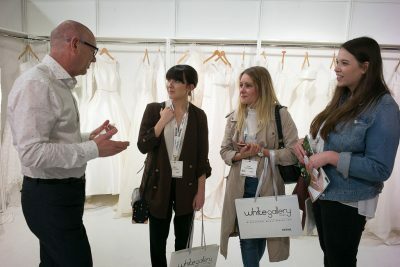 We debuted the new collection at the White Gallery in Battersea in May, which is the main UK exhibition for world class luxury bridal designers. 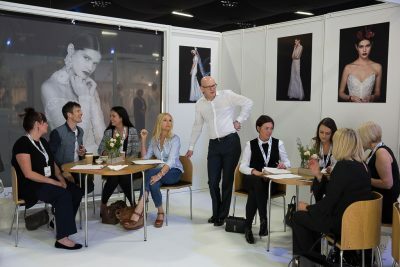 The first day of the show is all about the catwalk show, the styling, organisation and music choices which make the show our main spectacle of the fashion year. 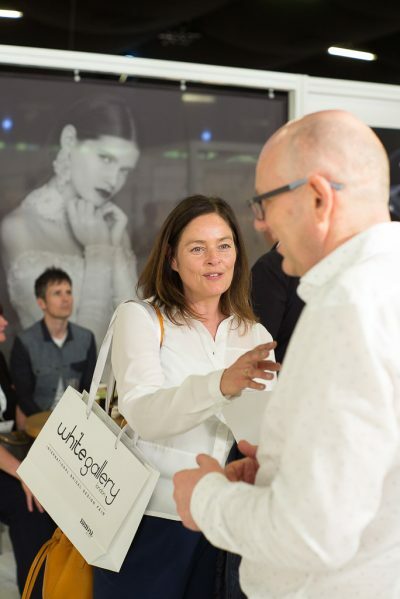 Marguerite designs the collection thematically and we try to reflect this with the various catwalk scenes and the mood which the music evokes for each scene. 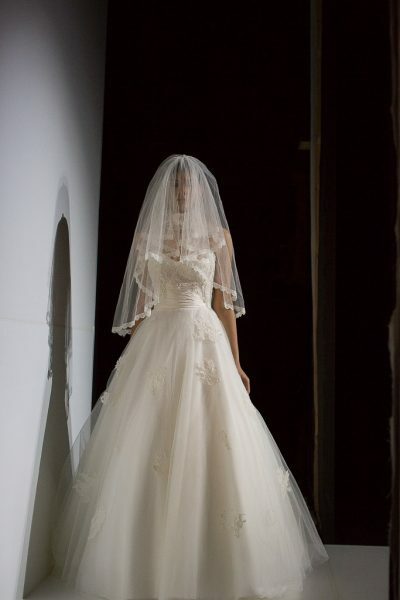 Hair and makeup is also very important and Joseph Koniak and his team are spot on when translating the designer’s vision into reality. 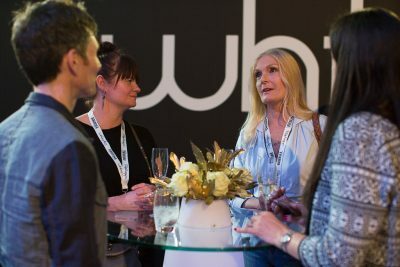 On Saturday before the show we do a full dress rehearsal with the production team at The White Gallery and make any final tweaks to accessories and styling and then we are ready for the main event. 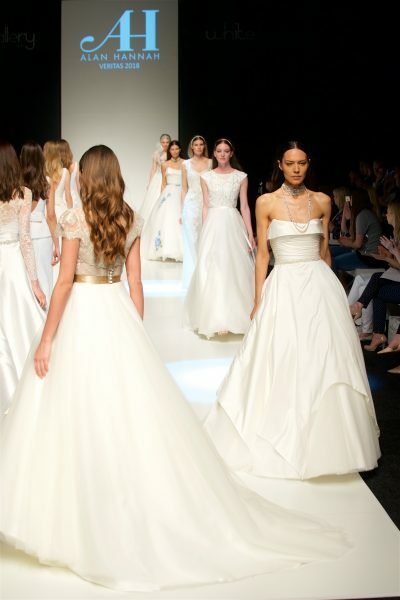 On Sunday we have a champagne reception for all our lovely stockists and press friends before the show which is followed by the first showing of the new collection which takes place on the catwalk. 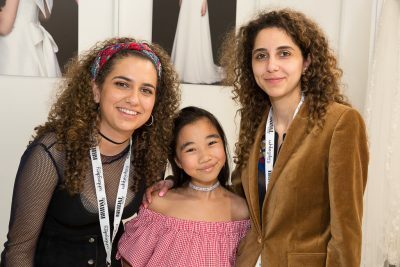 We had a great reception for the new collection, which is the culmination of six months’ work where every piece is painstakingly created in our studios here in London. 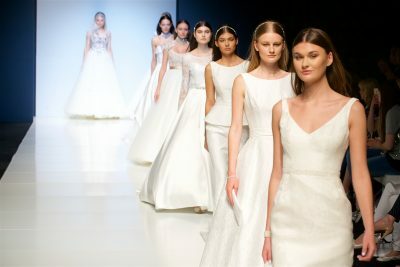 Marguerite presented a beautiful capsule collection of slim crepe dresses along with her full dresses adorned with fine beading and hand painted flowers. 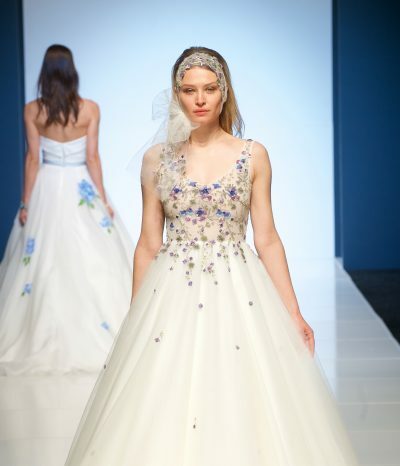 Candice was a particularly spectacular dress with painted hydrangeas as was Enchanted Garden with its scores of tiny embroidered flowers and strong hues of blue and purple. 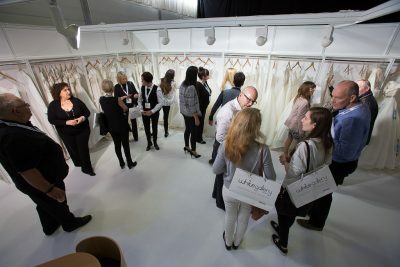 After the catwalk we met up with all our UK and overseas stockists who were very busy over the following couple of days choosing their pieces from the new collection for the new season.